Split Payments deliver our solutions via a software interface (API) and web platform as a fully managed cloud service (commonly referred to as Software as a Service or SaaS). But we also have an overlay capability for enterprise customers with existing bank facilities. Simplify Data Integration. Combine control with freedom. Many companies face the challenge of working with legacy systems and highly specialised databases. 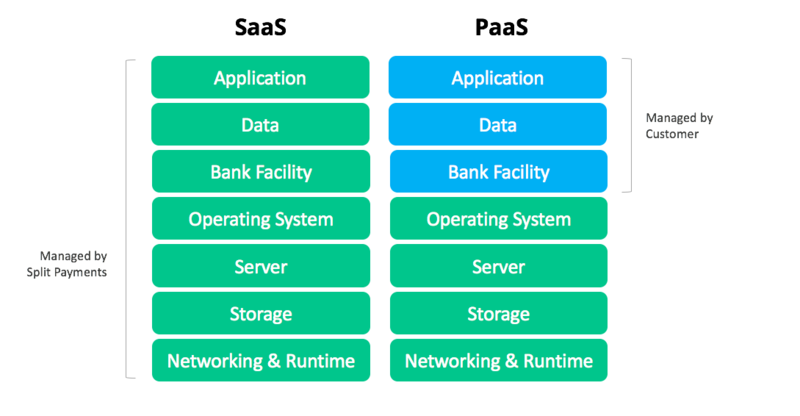 Split’s PaaS solution allows you to deploy powerful cloud services that share data sources, allowing for simpler integrations. Plus achieve better business-technology alignment using cutting edge technology. Discuss our Enterprise Solutions today.